Are you worried that you or someone close to you is addicted to Spice? If so, help is at hand! Here, we tell you all about the strong and addictive ex-legal high – Spice: what Spice is, addiction to Spice and how it manifests, the effects of Spice on the body and brain, the statistics on Spice addiction and associated deaths, the dangers of Spice abuse and addiction, the impact of prohibition on Spice, how Spice is affecting our teenagers, the signs and symptoms of a Spice addict, the effects of withdrawal, and most importantly how we can help you or your loved one to access the best treatment possible for a safe and successful Spice detox and rehabilitation programme. We will also advise you of treatment options that are available on the NHS and free services, as well as private rehab. Addiction Helper have helped well over 10,000 individuals worldwide to access the correct support and treatment for their individual addiction and circumstances. We are experts in treating addiction and are the leading authority on rehab treatment in the UK. If you or a loved one are struggling with legal highs addiction, please call us or talk to us online via LIVE chat for immediate help, advice and support. We can show you the way forward to breaking free from Spice addiction permanently! Spice, whilst a branded name itself, is also a broad term used for a large number of differently branded synthetic cannabinoids which are synthesised to mimic the effects of stronger forms of cannabis such as Skunk. There are no regulations over how Spice is made or what goes into it, but it is made up of different compounds of herbs and chemicals and is sold under many different names. Its smoking formulation looks much like the Cannabis plant derivative, Skunk. Traditionally, Spice is ingested in the same way that cannabis resin or skunk is, in that it is smoked through a rolled “joint or spliff” with tobacco, or through a pipe or bong. Spice contains exceptionally high amounts of the psychoactive ingredient Tetrahydrocannabinol (THC) and can be up to 100 times stronger than cannabis! Spice comes in many different formulations and with different strengths of the psychoactive component THC. The more THC used within a substance the stronger the psychoactive effects are on the user. A user’s reactions to a drug such as Spice can vary greatly – some will feel great warmth, euphoria, excitement, and “the giggles”; some will feel drowsy and euphoric; whilst others will feel extremely paranoid, frightened, and unwell. Forget that it is sold to mimic the effects of cannabis, as this is not the truth. 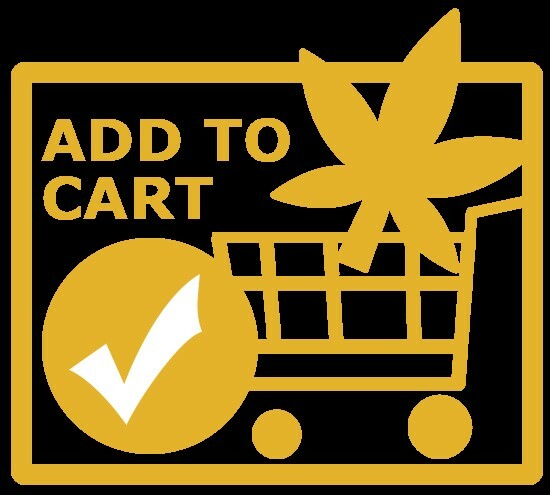 As a potent and powerful concoction of different substances, Spice is far, far more dangerous than cannabis, and its effects can be very different to what a cannabis user would expect. The biggest problem with Spice and other so called “legal highs” is that they often contain other powerful and illicit drugs that can cause the individual to suffer serious physical and mental health complications They can also contain other substances that can cause a physical dependency. 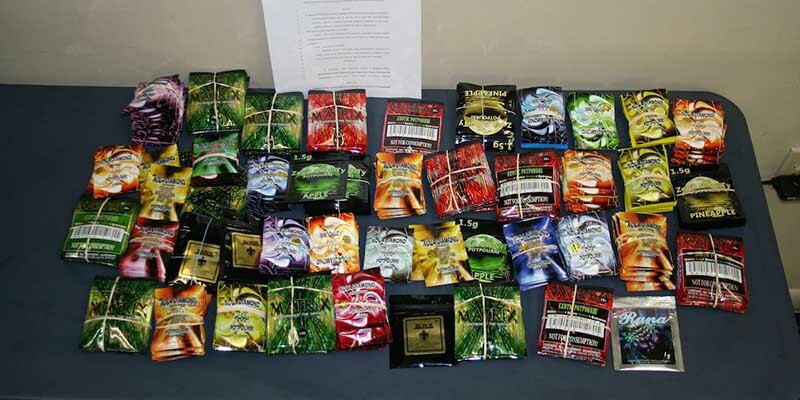 Synthetic cannabinoids, such as Spice, are usually sold in ‘herbal’ smoking mixtures. Often these smoking substances contain very little or no cannabinoids whatsoever. You can never be completely sure what is in a smoking mixture; this is what makes it so hard to establish if they are legal or not as they come in so many different formulations. 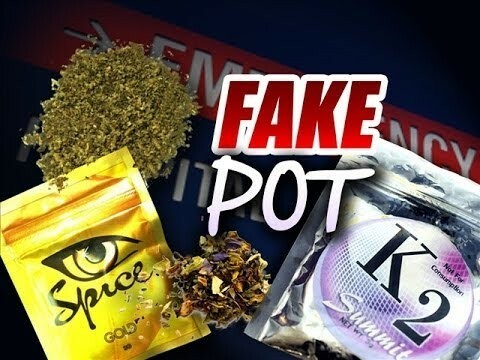 There is absolutely no way of telling what is in a smoking mixture, even those that have well-known branded names such as Spice, Black Mamba, K2, or Bliss; with so many independent manufacturers, formulations can vary greatly and can be very dangerous. Spice – Up to 100 Times Stronger Than Cannabis! At the outset the specific brand, ‘Spice’ has now become a collective name for many different formulations of herbal smoking blends that contain synthetic cannabinoids. 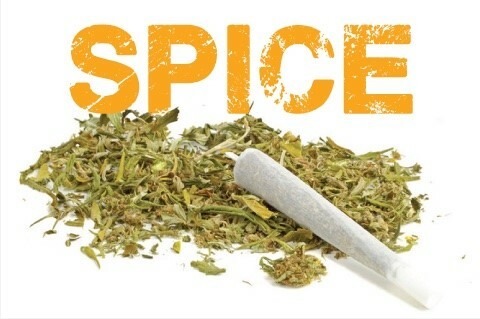 The dangers of Spice were first recognised in 2008, after individuals who were presenting symptoms of severe cannabis use were testing negatives for cannabis. 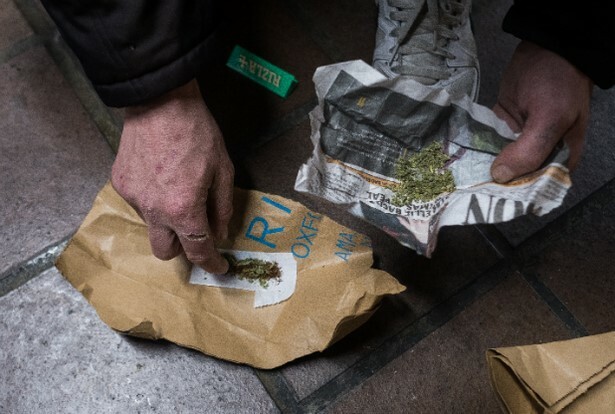 It was at this point that the reality hit home – thousands were smoking substances being marketed as “legal highs” on the internet and from shops that claimed them to be synthesised cannabinoids, but had no trace of Cannabis in them. They did however, contain large amounts of other psychoactive ingredients along with other controlled, and potentially dangerous, substances. So called “legal herbal blends” were actually made up of or contained illegal drugs. The active substance in Spice, which is categorised as an internet drug, is mass-produced in Asia before being sent to Europe in powder form where distributors create smoking mixes that are then sold on. In autumn 2014, there was a sharp increase in cases of poisoning when some unusually strong varieties of Spice came onto the market. “If you misuse spice and other internet drugs, sooner or later you’ll encounter a substance or a product that’s particularly dangerous; it’s like playing chemical Russian roulette.” Frida Wennerholm, first published in the magazine Medical Science no 2, 2015. Is Spice a Legal High? Until May 26th 2016, Spice was a legal drug, as were many other synthesised drugs designed to mimic the effects of illegal street drugs. Spice could be purchased from any of the many legal high shops that were in operation at the time. Spice is no longer a legal high but a Class B drug under the Misuse of Drugs Act 1971, as it falls under the Psychoactive Substances Act 2016 which came into force on 26th May 2016. As a result, legal high shops were forced to close and banned from selling such substances. The term ‘legal high’ is commonly used to describe new psychoactive substances (NPS) but it is very misleading. Many ‘legal highs’, are not legal at all. This includes many types of synthetic cannabinoids that are already controlled under the Misuse of Drugs Act. The Act now specifies particular drugs and also groups of drugs (e.g. 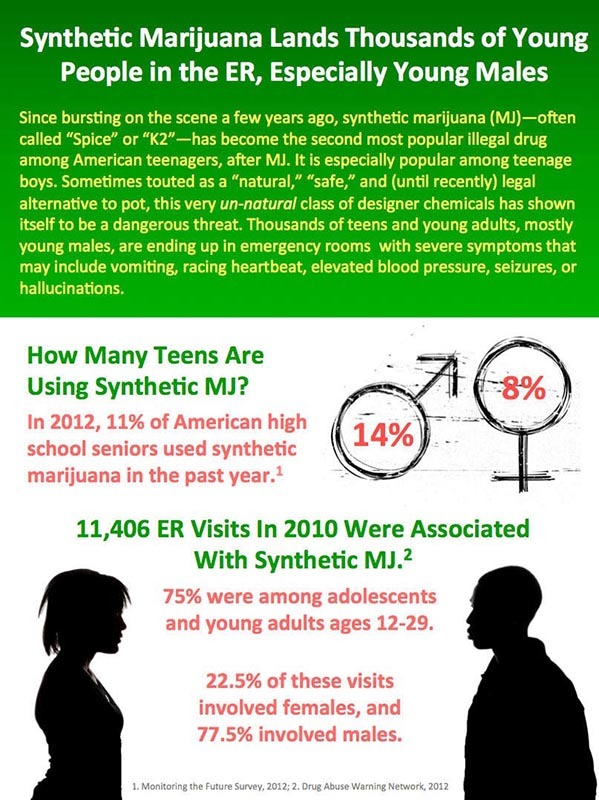 synthetic cannabinoids that impact on specific receptors in the brain). Many products sold as ‘legal highs’ contain multiple NPS and many contain illegal or banned substances. The enforcement of Spice being reclassified from a legal drug to a Class B illicit drug forced the selling of Spice and similar substances to go underground on the black market. Purchasing psychoactive, and formerly legal highs, is now more dangerous than ever; there are no regulations as to what goes into them. The implementation of this law has had no positive impact on their sales to date; perhaps making them even more attractive than before and giving the self-made chemists free reign on the substances they add in their production. The prohibition of Spice and similar psychoactive substances in May 2016, has done nothing to help the Spice problem, in fact it has had the opposite effect. By making it an illegal substance, its manufacture and distribution have been driven underground; resulting in more deadlier and potent types being sold and spilling out onto our streets and the internet with devastating effects. Spice itself was introduced initially as natural alternative to cannabis. Trading through shops meant that the shopkeepers had to be very careful of what was going into the substances they sold, or they could face criminal prosecution as a consequence. Driving Spice underground meant that more and more potent versions of the substance could be manufactured and peddled illegally, as there was still a great demand for a cheaper and safer alternative to cannabis. 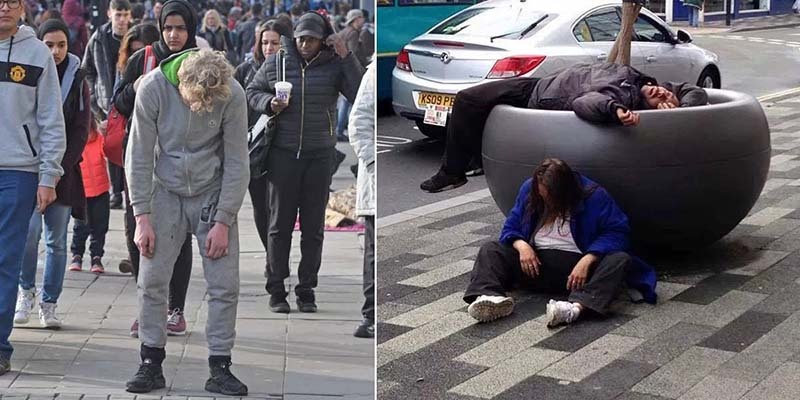 What has hit our streets, is much, much nastier than the original herbal formulations that were sold in legal high shops and far more dangerous than cannabis. There have been many instances of individuals overdosing and dying, or requiring urgent hospital treatment, as a result of the more recent formulations. To date, there have been no officially recorded deaths attributed to cannabis alone. It is important to understand that Spice is not a safer alternative to cannabis or other prohibited drugs. It is also important to realise that Spice is not cannabis and is no longer legal, for good reason. It is a broad term used for a number of synthetic homemade drugs mostly sold online. They are mis-sold under the claim that their effects mimic cannabis. Their effects are not like Cannabis and are much, much more potent and dangerous. 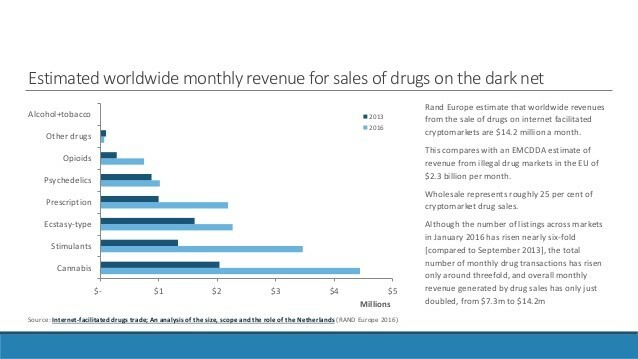 Over the years, there has been a steady rise in the sale of psychoactive and prescription drugs, so much so that they are overtaking illegal drugs in terms of sales and in terms of subsequent overdoses and deaths. 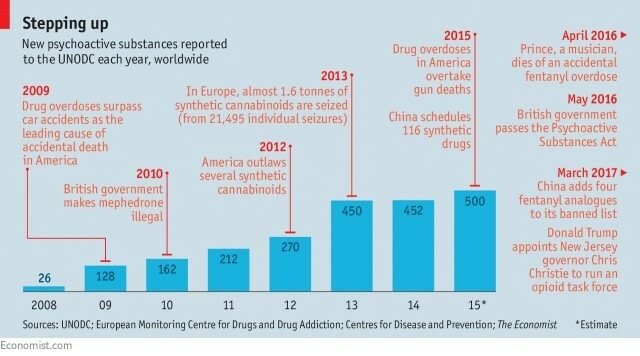 The infographic below demonstrates just how big a problem psychoactive substances and controlled medications are around the world. Age: Research has proven that teenagers and young adults are the main purchasers of these substances; their brain is still in the developmental stage and the use of such substances can have a huge impact on their brain development, putting them more at risk of becoming addicted. Genetics: Some individuals are far more predisposed to developing mental health conditions, including addiction, than others. Their brain chemistry and genetics put them in the high risk category in relation to specific genomes being developed more than in others. Formulations: Many forms of Spice contain addictive chemicals within them, to keep the person using and coming back for more, as a physical and psychological dependency quickly develops. Many formulations contain the chemical compound K2. Overtime, this is stored in the body and builds up. The individual will need to use more and more as their body becomes used to and tolerant to the chemical. The storage of K2 within the body makes the individual more prone to organ damage and overdose. Disinformation: Using Spice without knowing the facts of what it is they are using puts people at great risk of becoming addicted. It is important to arm yourself and your children with the facts of these dangerous psychoactive substances. Education is the best way to achieve prevention. Underlying mental health conditions: If a mental health condition such as depression or general anxiety disorder is present, and if not correctly diagnosed and treated, the individual is more likely to resort to self-medicating their symptoms and use substances to make themselves feel better. So what is it about Spice and similar psychoactive substances that makes them so dangerous? Why and how did they become known as the drugs that put users in a zombie-like state? Firstly, Spice is a very potent mixture of different chemicals and herbs and contains very high amounts of THC, it also contains a mixture of herbs and other chemicals that together make a potentially lethal combination. Since Spice was introduced, it grows exponentially stronger. Underground and homemade laboratories give the manufacturers free reign as to what goes into the final formulation. Since Spice was banned and legal high shops were closed as a result of it becoming evident that stronger strains were being made containing illegal drugs, there is no way of regulating what goes into Spice and similar products. With the closure of these outlets, there is no comeback, unless a dealer or manufacturer is found by the law and successfully prosecuted. You can hardly return to a dealer and complain that a drug has got you hooked or approach trading standards over the quality of such goods purchased from the black market! Since the implementation of the drugs prohibition on psychoactive substances, the number of deaths has trebled from two years ago. In 2015, pre-prohibition of Spice, the drug claimed 8 lives that year. That number has trebled to 27 deaths recorded from January 2017 until the end of August 2017. This indicates that far more deadlier strains of Spice are hitting our streets at the moment and is a massive cause for concern. Developing a permanent mental health condition that cannot be reversed, such as schizophrenia. The Guardian Newspaper recently reported on the disturbing numbers of prisoners addicted to Spice and described how some inmates were deliberately getting arrested so that they could smuggle Spice in. The recent very strong strains mean that there is a lot of money to be made for very little cost. If you recognise any of the above symptoms in either yourself or a loved one, please call us for free, immediate expert help and advice. Our lines are open 24/7, or you can speak to us via LIVE CHAT now. Teenagers are particularly vulnerable to developing long-term problems as a direct result of smoking Spice during their teenage years. The brain is still developing and Spice can greatly impact on its natural growth and development. This makes teenagers the most at-risk age group in terms of a possible development of an irreversible mental health condition or addiction. Addiction Helper checked ONS (Office for National Stastics) for up-to-date information on the number of official Spice-related deaths in the UK during 2016 and 2017 (for ages between 13 and 19), but as yet there has been no official report released. However, the last recorded legal high data confirmed that there were 23 deaths in 2013 involving legal highs in England and Wales. Statistics and other research reveal that each time a legal high is banned that the number of deaths rise, this is particularly true of Spice and also M-Cat. According to the European School Survey Project ESPAD, teenagers in Britain are more likely to have taken illegal drugs than youngsters anywhere else in Europe, based on a conducted randomised survey, publically released on 6th September 2017. The included data also claims that nearly 40% of teenagers in the UK had tried illegal substances including cannabis and ecstasy. UK teenagers are also top of the league of countries in Europe for alcohol consumption and smoking, the ESPAD survey says. The survey conducted by ESPAD questioned 15- and 16-year-olds from schools in 30 European countries. In the UK, 223 schools took place in the survey out of a random sample of 302 schools across Great Britain giving a fair representation of accurate statistics. “36% of teenagers in the UK have admitted to taking illegal drugs at some stage. “But I would like to see a sensible approach to this because it is the legal drugs such as cigarettes and alcohol which lead to the most deaths and illnesses with young people in this country. “If the Government wants to crack down on drugs dealers it should be looking at the shop keepers who are selling the drink and cigarettes to the children. “Part of the explanation is also that British families are setting a bad example to their children. “If they grow up watching their parents drinking and smoking they are likely to copy. NHS Digital further raised concerns stating that related reports confirmed that drug use amongst children and teens increased with age. Six percent of the surveyed 11-year-olds said that they had tried drugs at least once, whilst the percent among 15-year-olds was 24%. National statistics confirm that teenagers are the second most prevalent age group of using illicit drugs, with young adults being identified as the primary users. The most deaths occur in middle aged males. This can be attributed to years of abuse and effects on the body/mind and the ever-increasing risks of overdose the longer an individual uses. With regards to illicit drugs, cannabis was the first choice of teenagers interviewed, followed by synthetic cannabinoids, mainly because they are cheap and easy to obtain. If adult statistics are anything to go by, there will also have been an increase in Spice use amongst teenagers since the drug became a controlled illicit drug under the Substance Misuse Act on Psychoactive Substances. Addiction Helper feels that it is vital that children are armed with the facts about drug use and its potential dangers. Teenagers who use cannabinoids – synthetic or not – in any form at all, are at high risk of developing mental health problems in the long term, and also addiction. Education is the best pathway to prevention. If you have concerns that your child may be using drugs or alcohol, please ensure they are aware of the risks involved. The NHS provide substance misuse support for under 18s. You can access your local drug support through your child’s GP. Alternatively there are a very small number of select and elite private teenage rehabs in the UK that accept children of 16 and over; we also have access to specialist teenage treatment centres overseas that accept younger teens. 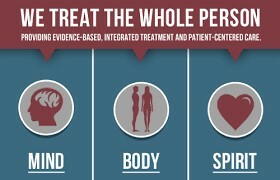 Please call us if you would like more information on private treatment options. There are numerous drug forums on the internet that describe the horrors of quitting Spice without medical help; some end up with numerous visits to their local A&E department, convinced that they are dying. The withdrawal symptoms can go on for a couple of months and in some cases be protracted beyond that. The obvious answer to avoiding withdrawal symptoms is not to use Spice in any form in the first place, but this is unhelpful to those who are already dependent and have an addiction. It is difficult to find the right treatment for a Spice addiction without assistance. This is why services such as Addiction Helper’s are here for you and your love ones. We work only with rehabilitation centres regulated by the Care quality Commission, and oversee all programmes to make sure all treatment needs are met with care and mutual trust between clinics and patients. Here are the main treatment factors which create the basis for Spice addiction rehab in the UK and abroad. The safest proven way to quit Spice is within a medically supervised environment with a medically managed or assisted detox. If you would like more information on how to access a medical detox, please call Addiction Helper. We can arrange urgent admissions for those in crisis; top detox and rehab centres in the UK and overseas are at your disposal. Our private treatment centres are staffed by qualified and highly experienced doctors, nurses, psychologists, counsellors, and holistic therapists who can ensure you are adequately supported every step of the way throughout your Spice detoxification; the use of approved and carefully monitored medication is available. 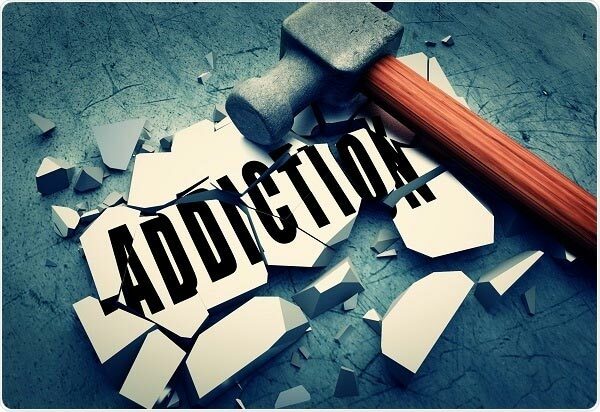 Furthermore, you will also benefit from a fully individualised rehabilitation programme, designed to address the psychological aspect of addiction and help you live a life free from Spice and other addictive substances. Rehab for Spice addiction is not easily available on the NHS. There is no such thing as NHS rehabs. Funding can be requested from the government by your local DAT (Drug and Alcohol Team). However they do not usually fund for a Spice addiction alone. Spice is pretty much uncharted territory when it comes to adequate treatment on the NHS, having only recently been banned and classified as a controlled substance in May 2016. If funding is approved, and occasionally it is in the most exceptional cases, there are very lengthily waiting lists and stringent criteria that you will be required to meet. NHS funding for rehab is only awarded to the most severe cases of drug and alcohol addiction and usually only awarded to those with a Class A drug dependency or Alcohol dependency. Once funding is secured, the individual is then required to attend a pre rehab course, involving a reduction regime, groups and appointments, to show that they are willing to make the most of the opportunity. If self-funding a private rehab is not an option or is not financially possible, you can still access support from your local DAT who will provide key work sessions and groups for you to attend. Many find Narcotics Anonymous and also SMART recovery groups helpful to obtaining and maintaining recovery. Any mental health illnesses presenting will need to be dealt with by your local mental health team. Your GP will be able to provide a referral to their services for a correct clinical diagnosis and appropriate treatment. There are various options for private treatment of Spice addiction; the type of treatment most likely to be successful will depend on the severity of your individual addiction and any additional addictions, co-occurring illnesses or mental health conditions that are also present. The first step towards recovery from Spice addiction is to stop using the substance completely, only then can psychological and therapeutic measures be of maximum benefit. For an individual that finds it impossible to stop using Spice in the community, an inpatient rehab programme is strongly recommended, with a minimum stay of 28 days. Any detox should also be accompanied by a full rehabilitation programme. Without this, there is an extremely high chance that the individual may relapse at some point in the future. Addiction Helper only work with CQC-regulated treatment centres and have access to over 100 exemplary private rehabs within the UK and also some elite and luxurious rehabs abroad. All of our approved rehabs adhere to very strict medical and therapeutic guidelines, regulations, and policies at all times. Providing you or your loved one with the reassurance and treatment needed to get well. We specialise in treating addiction and have helped well over 10,000 individuals to access the correct support and treatment for their addiction. We can find you or your loved one the ideal treatment plan and rehab facility in which to recover from Spice addiction, ranging from affordable to luxury treatment, with locations all over the UK and overseas. For those that have a physical addiction to a synthetic cannabinoid, following a comprehensive assessment by a Doctor on admission to one of our rehabs, they will receive a full medical detox to help relieve the withdrawal symptoms. When it comes to Spice there is no medically recognised detox that you will be able to obtain from your GP or on the NHS. We appreciate that physical and psychological withdrawal symptoms that can manifest in early withdrawal from Spice; they can be extremely distressing and unpleasant; therefore, our doctors will prescribe a suitable and approved medication to help alleviate these symptoms, making withdrawal much more comfortable and easier to complete. Our doctors and therapists will also ensure that any co-occurring conditions such as generalised anxiety disorder, dual addictions, depression or PTSD are treated simultaneously for a maximum chance of recovery. Our rehabs are staffed only by experienced and fully qualified addiction treatment experts, many of whom are in recovery themselves, having overcome their own battle with addiction. The available rehabs provide motivation and inspiration to our patients, proving every day that recovery is possible. We also have a unique insight and understanding of the disease of addiction, helping you and your loved ones fight and win the battle versus addiction. This proves to be very fruitful in a developing strong therapeutic working relationships between staff and patients. Our private Spice addiction rehabs deliver the latest in evidence-based therapeutic and medical treatments such as one-to-one counselling, process groups, trauma therapy, CBT, DBT, 12-step therapy, group therapy, educational workshops and relapse prevention, mindfulness, meditation, fitness programme, healthy eating programme, and many more. Addiction is far more than just the use of a substance, the issues and maladaptive behaviours and thought processes underpinning the Spice addiction must also be comprehensively treated for a full recovery to be possible and maintained. We will provide you and your loved ones with a full, individualised, therapeutic rehabilitation programme and the recovery tools required to maintain permanent recovery from Spice addiction. With privately funded rehab for Spice addiction or abuse there are no waiting lists, and we can arrange for you or your loved one’s immediate admission, as well as take care of all of the arrangements for you. We aim not to just help our patients to recover from addiction but to also show them the means and tools to build a bright and productive future. Furthermore, we offer 12 months free aftercare to all patients that complete their treatment programme with us; thus, further securing ongoing recovery in the early and vulnerable days of returning back home. If you have any questions relating to Spice addiction, Spice detox and treatment, Spice rehab, or would like to find out more about how we can help, please call or chat to us live today, for a free and comprehensive assessment of your individual treatment needs. We are available 24/7 and ready to help you now!